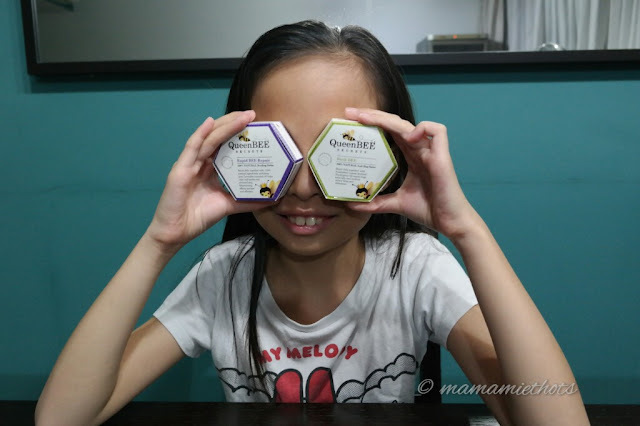 Constantly on a lookout for products that are natural and safe for my children have always been my top priority. Knowing that their skins are delicate and making sure that products will lessen the chances of allergy reaction after an application is very important. Recently I was introduced to this range of QueenBEE products from Australia. They come in the different variation of balms for different usages. All their products are suitable for super sensitive skin so no more fear to skin breakouts. 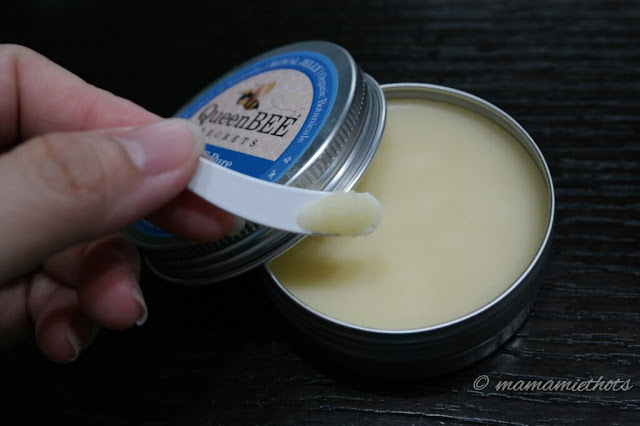 As all the QueenBEE balms come in solid form, the best way is to use a spatula (provided inside the metal container) and scrape a small amount onto your fingers. Use your fingers to soften balm and smear onto your skin. Allow it to penetrate for 1-2 minutes. 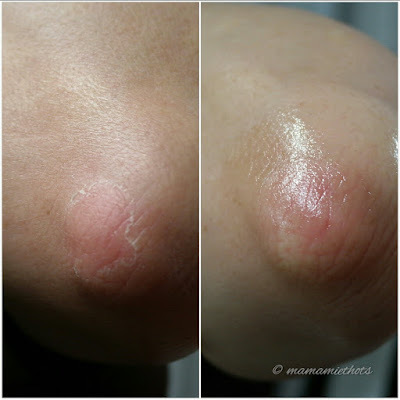 My mum has dry flaky elbows so she applied Rapid BEE Repair on her skin consecutively for a few days. After application, the skin is moisturised and protected with a layer of balm. The result is shown to be effective for her. 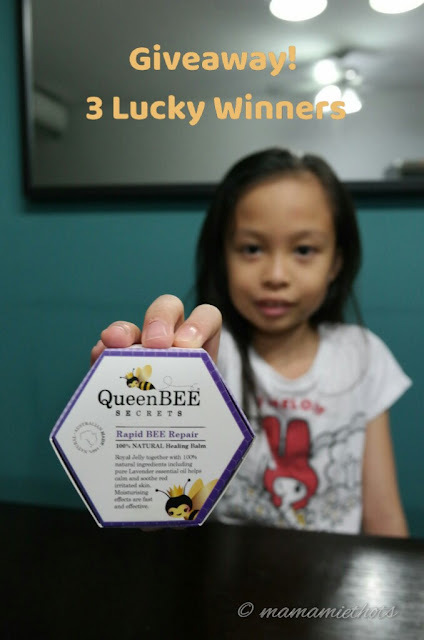 The kind folks from Ember Hue Corporation Pte Ltd is giving a Rapid BEE Repair to 3 lucky winners. 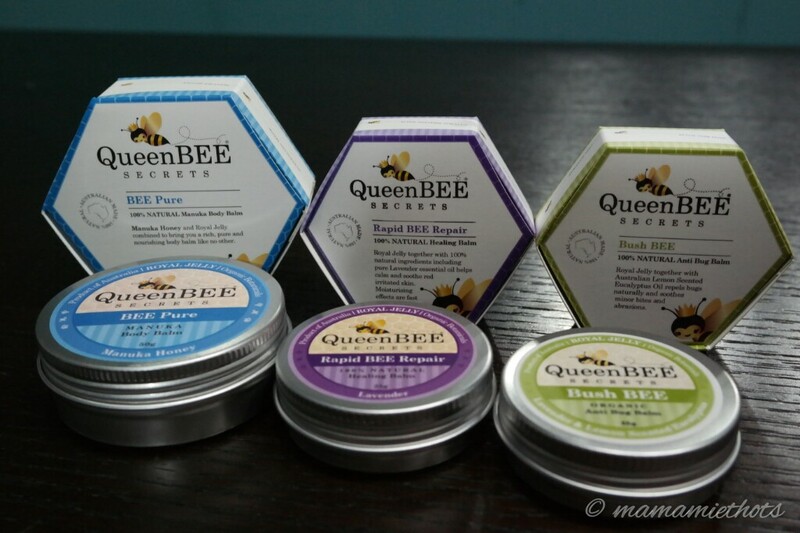 To purchase QueenBee Secrets products, you can contact 67456548 and be entitled to 30% discount on your purchase by mentioning my blog name. 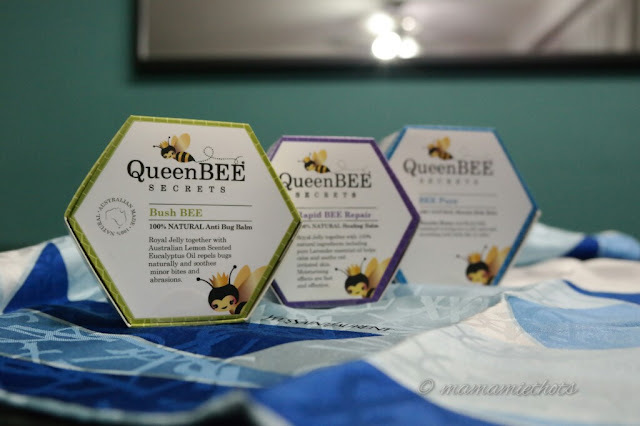 Disclaimer: We received some QueenBEE Secrets products for review purpose. No monetary was compensated, all opinions are our own.